For more than six decades, Rangers Die Casting in Lynwood, CA has been providing high-quality, precision aluminum die castings solutions for a variety of industries. We are a leading aluminum die casting company with a commitment to lean manufacturing for aluminum parts. This has enabled us to consolidate three separate aluminum die casting operations as part of our current southern California facilities. We were founded in 1946 by three die makers with a passion for quality tooling and that tradition continues today. 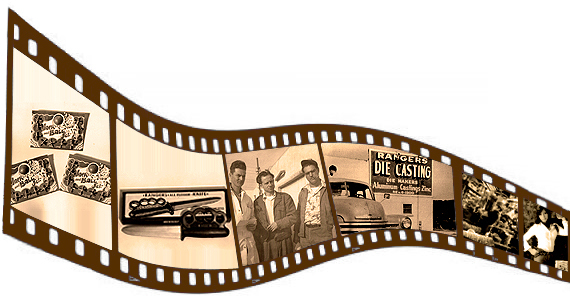 Throughout our history in California die casting, Rangers Die Casting has adapted to industry needs for aluminum casting. We are an aluminum casting company that originally produced a variety of toys, including a replica of the Offenhauser Midget race car that remains today as the Rangers Die Casting logo. As the toy business began to fade, we repositioned ourselves as a full-service aluminum die cast manufacturer serving the growing automotive and aerospace markets in Southern California. Over the next six decades, Rangers Die Casting continued to modernize, invest in new equipment and develop services to meet the aluminum casting needs of Original Equipment Manufacturers throughout the West Coast. We provide these companies with a wide range of aluminum die cast components, aluminum die castings, aluminum alloy castings and metal castings. In addition, Rangers Die Casting offers complete turnkey services including aluminum die cast product design assistance, die design, precision aluminum alloy die casting, machining, finishing and assembly of cast aluminum components.